Stay Humble and Kind | Kid Reporters' Notebook | Scholastic Inc.
Country music star Tim McGraw performing in 2015 in Austin, Texas. McGraw has won three Grammy Awards for his music, among many other honors. 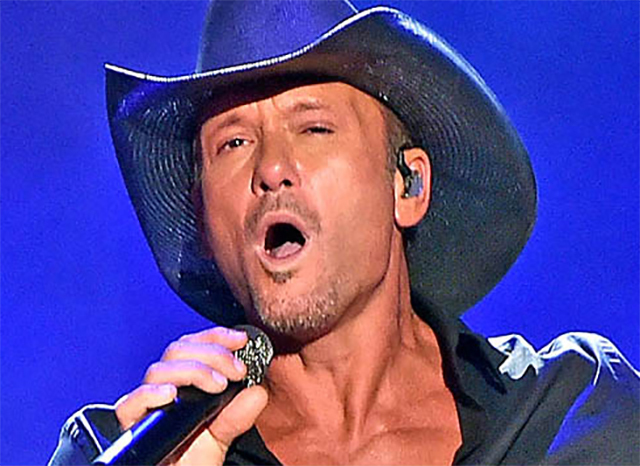 Tim McGraw has another hit song to add to his long list of chart toppers. It’s called “Humble and Kind.” I recently traveled to Nashville, Tennessee, to speak with McGraw about the song and the values that he wants to share with fans. McGraw certainly has worked hard at his craft. Ten of his 14 albums have reached No. 1 on the Top Country Albums charts. His Soul2Soul II Tour with his wife and fellow country singer, Faith Hill, became the highest-grossing tour in country music history. McGraw recently teamed up with Scholastic Reading Club to sponsor a poetry contest for students in grades 6-8. Kids are invited to write a three- or four-line stanza expressing their ideas about how to be humble, kind, and compassionate. See Part I and Part II of Lilian’s conversation with Tim McGraw.